Early in November students from Utah State University's Biological Engineering program presented their research project, Eden, to the Scientists and Engineers employed by NASA. 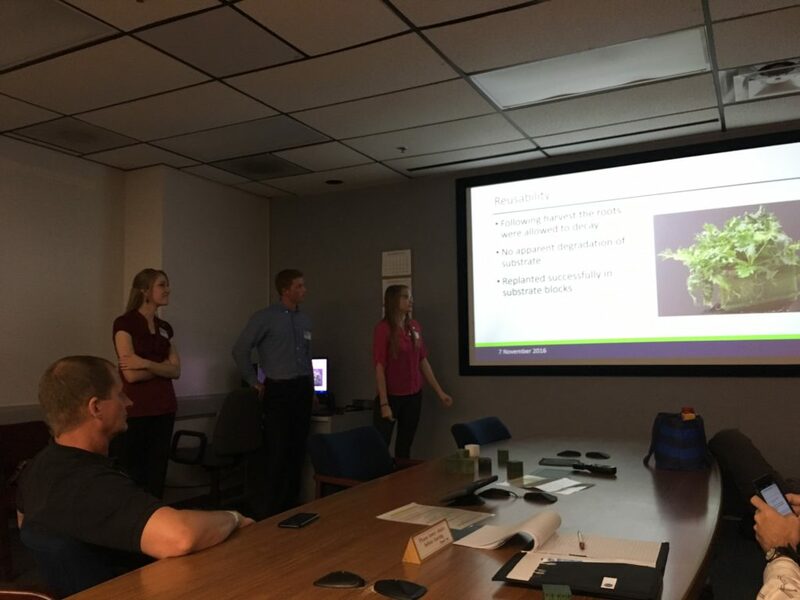 Elizabeth Sherman, Emilee Madsen, Daniel Froerer, and Zachary Jensen under the tutelage of Dr. Timothy Taylor took on an academic innovation challenge posed by the Kennedy Space Center geared at making deep space exploration a reality. Called the eXploration Systems and Habitation (X-Hab) project, the goal was for students to develop new and innovative technologies that address the issues associated with long-term space travel. The team geared their efforts towards creating a self-sustaining habitat that negates some of the issues of maintaining crops in microgravity environments. They developed Eden, an autonomously operating plant chamber that delivers water and other nutrients to the roots of plants in a revolutionary way.